Mother’s Day is almost here! Every shop in every corner are stocking up on flowers, cards and gorgeous gifts for the big day. I’m a bit of a late planner, so I always leave it until the last minute! Trying to find the perfect gifts the day before Mother’s Day is a bit of challenge, but I always manage somehow. However, thanks to PartyLite, I have found the perfect place to stock up on gifts that will make my mum happy weeks before the actual day! 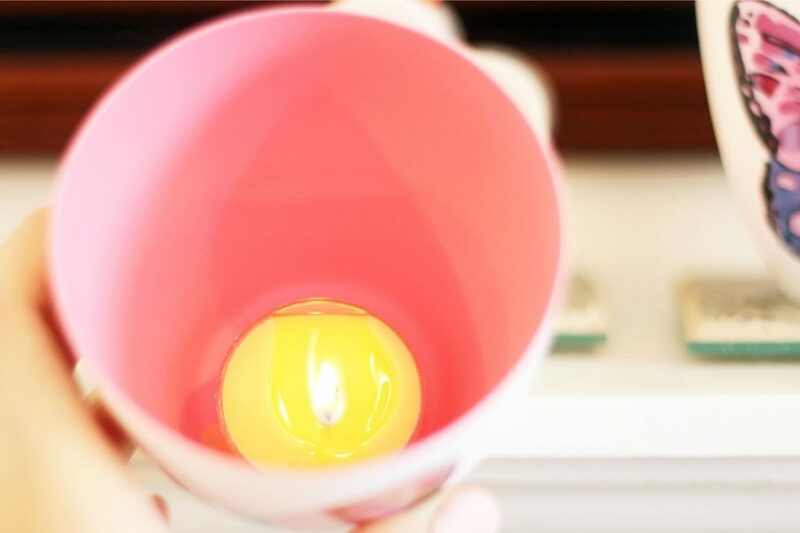 I’m a huge fan of PartyLite and have feature them many times on my blog! I have previously written about their Summer Candles, Christmas Collection and Valentine’s Day Candles, which are all amazing! 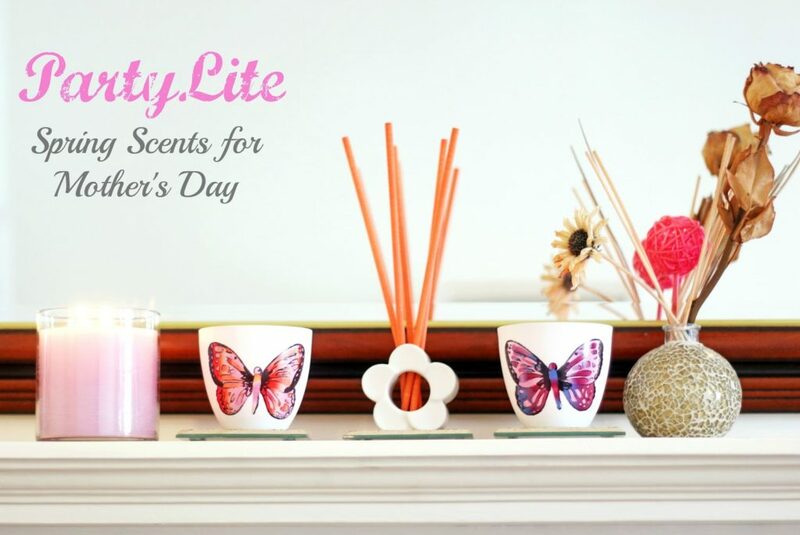 In today’s post I’ll be showing you some lovely scents and accessories from PartyLite’s latest Spring collection! These candles/scents/holders are perfect gifts for Mother’s Day. But perhaps you simply want to treat yourself to some beautiful spring candles! These beautiful products are from PartyLite’s Spring 2016 collection and you can find out more about them in the Everyday 2016 Catalogue. The products I’ve featured in this post are: GloLite – Berry Blossom, SmartScents White Flower Holder, SmartScents Decorative Fragrance Sticks – Peony, Butterfly Porcelain Tealight Pair and Universal Tealight Candles – Wild Lemongrass. The items I was most excited about were the Fragrance Sticks and Flower Holder because it’s not something I’ve come across before. Berry Blossom is one of my favourite PartyLite scents. The scent is mildly sweet and soothing. I got this in a tealight form last year and I fell in love with it right away. So can you guess how happy I am right now to have this in a GloLite Form with a burning time of 50-60 hours! “No liquid oil! No flame! Just long-lasting fragrance around the clock.” I love the idea of a reed diffusers without the liquid, which is basically what these fragrance sticks are. It fills my room with a strong floral scent and the smell lasts up to 30 days! The strength of the scent has diminished over time, but I do prefer a milder scent to be honest. 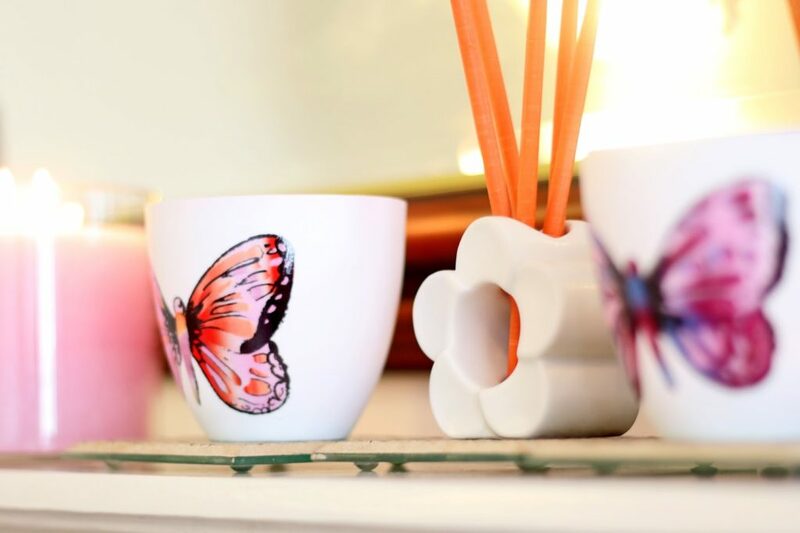 The SmartScents Holder is designed to go with the Fragrance Sticks and they come in all sorts of shapes, such as owls, hearts and butterflies. Nevertheless, I’d go for the Flower Holder any day as it’s super cute and goes really well with the Peony floral scent. 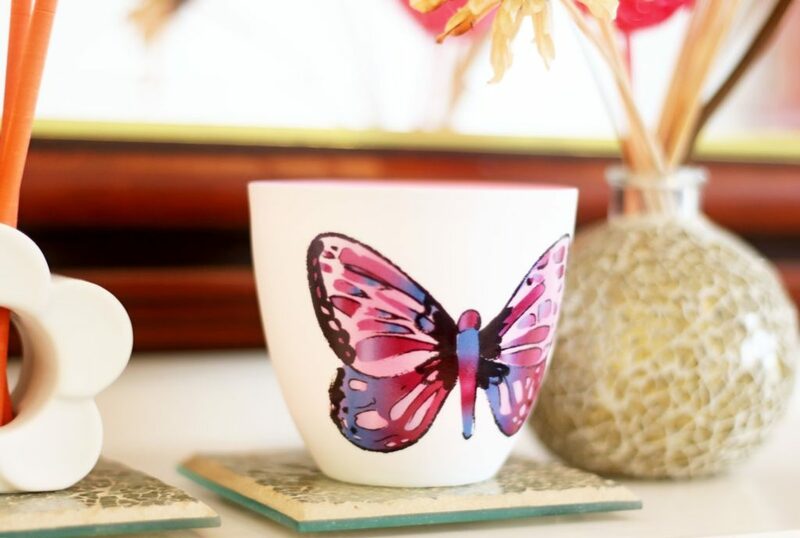 The Butterfly Tealight Holders are just adorable! 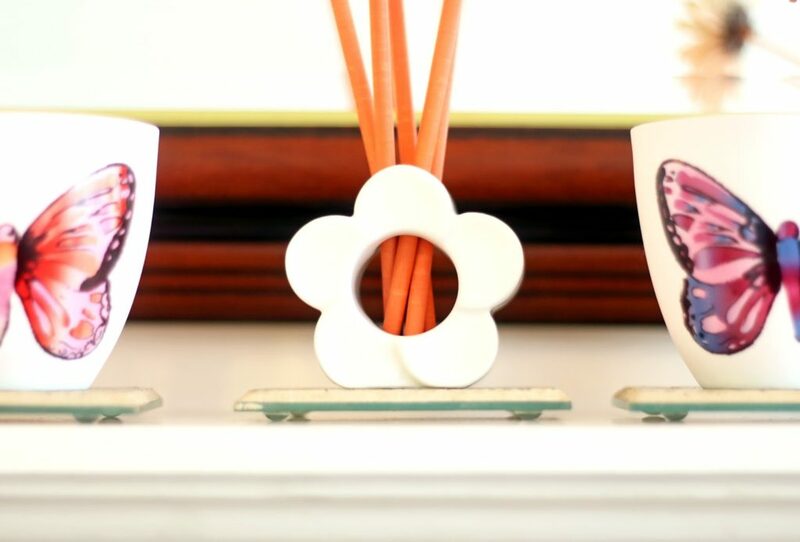 They look more like cups than tealight holders, so they also make the perfect home decor. They’re not just cool on the outside, but the insides are painted in purple and pink. To complete the collection. I also got a box of 12 tealight candles to go in the Butterfly Tealight Holders. I wasn’t quite sure about the Wild Lemongrass scent at first because it’s got a bit of a “buttery” note. However, this scent is growing on me and it smells a lot more refreshing when lit! My first thought when looking at these candles is how cute and summery they are! If you’re bored of dark wintery colours, then you’ll definitely need some bright coloured candles and decorations from PartyLite to lighten up the atmosphere! At PartyLite, you can find candles and accessories in all shapes and designs and it’s a candle heaven for all the candle lovers. However, you cannot buy products directly from the supplier, but there’s a nice little search option on PartyLite that finds the nearest consultants for you. Next Post Outfit for LFW: Hello Spring!